World Water Week started in Sweden, where since 1991, the Stockholm International Water Institute (SIWI) has been convening world leaders, water experts, representatives from global faith communities, and development professionals to collaboratively discuss and find solutions to the world’s several escalating water crises. 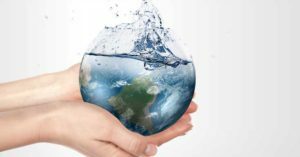 The theme of the 2016 World Water Week is “Water for Sustainable Growth”. His Eminence Cardinal Turkson, President of the Pontifical Council for Justice and Peace at the Vatican, will speak at the Opening Plenary and present the keynote at a panel on water and faith. The following resources have been selected by Sustainable Sanctuary Coalition for use by participants of various faith traditions. The resources are categorized in alphabetical order by faith tradition in a convenient to use document.